Alrighty. here we are with Vara’s orthos. 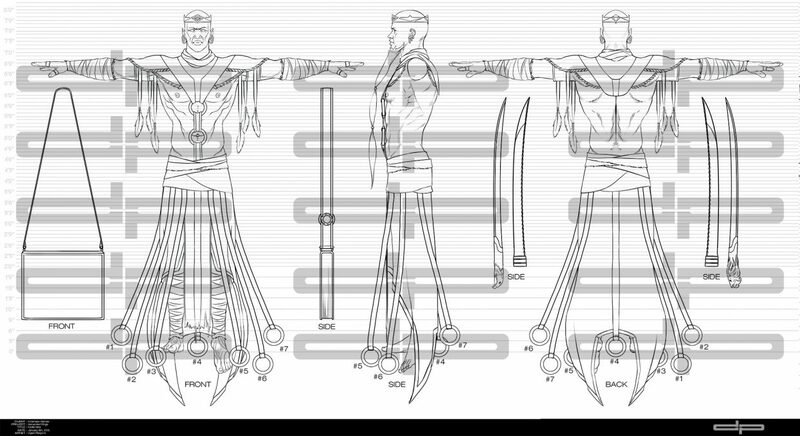 I just need to do a pattern pass on the book along with the back views of both swords. Looks like I also have to add in the ring on the book strap in the side view as well. Just noticed that. No problem. Besides those elements, he’s just about done. Any word yet on what you fellas want to do with the cape and shield on Kynazarr? Stay tuned for EPISODE # 055 – Eloden Color 3 which will be posted soon!